If we want to make the most of Ramadan, then we have to begin by imagining its reward. A businessman who's given a choice between two types of equally-selling merchandise, one that brings in a ten dollar return and one that brings in a hundred dollar return, won't think twice about picking the latter. And if he's given a choice between merchandise that brings in a hundred dollars and merchandise that brings in a thousand dollars, he won't even blink before picking the thousand dollar profit. The more profitable the return, the more eager he will be to take it. Shouldn't the same apply to us as believers in Ramadan? We know the weight Allah has given this blessed month; we know the multiplied rewards available, and the opportunities for forgiveness. So shouldn't we value every day, every hour, every minute, every second of this month? People who seek their reward day by day might slack off for a day or two because they look at the day as their unit. People who seek their reward by the hour might slack off a few hours, but letting go of entire days is difficult because they realize how many hours fit into each day. People who seek their reward by the minute might take off a few minutes, but they realize how much each hour is worth, so it's hard to let an hour go by without utilizing it. And people who seek their reward by the second will hate to slack off for even a second, because they realize how every instant is precious, how every instant can bring them reward. So spend some time thinking about the vast amount of reward available to you during this month. Do you know the types of ajer that are waiting for you during Ramadan? Do you recognize this chance you've been given to have all of your previous sins forgiven? Aren't you anxious for the reward of a night which Allah has said is better than a thousand months? 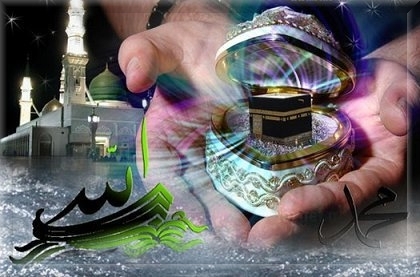 Prophet (SAS) said :"There is a gate to Paradise that is called ar-Rayyan. On the Day of Resurrection it will say: 'Where are those who fasted?' When the last [one] has passed through the gate, it will be locked." [al-Bukhari and Muslim].